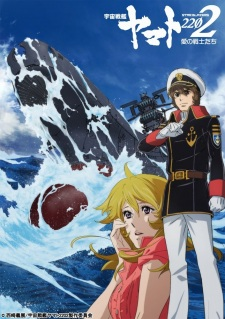 Plot Summary: Space Battleship Yamato 2202: Warriors of Love continues the story of Space Battleship Yamato 2199. It is the year 2202, three Years after the war with Gamillas, the people in the Solar System are finally at peace once again and the Earth has been restored back to life. With the end of the war, there is a peace treaty between Earth and Gamillas which will strengthen their military bond and secure true peace. In addition to the reconstruction of Earth, the joint forces form a new intergalactic defense fleet with a new ship, Andromeda, to be its new symbol of power. Due to these advancements, the Earth is going on a path of military expansion despite Starsha Iscandar's wishes of peace. But when a new threat called the Gatlantis starts to wreak havoc to a newly reformed galaxy, the Goddess Teressa calls upon the Yamato once more in order to fight back against the new threat.